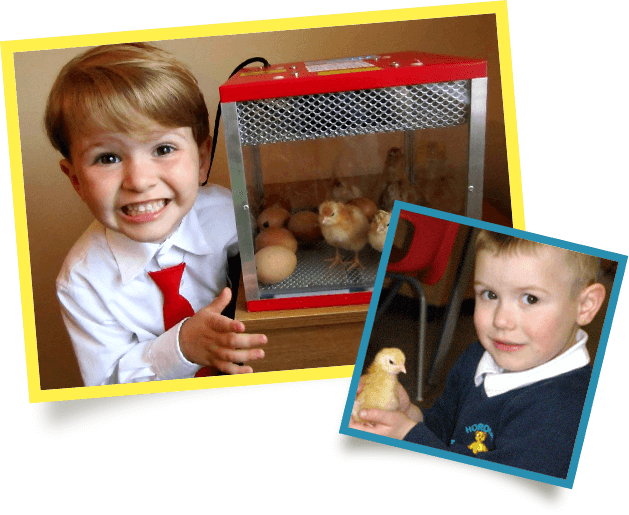 All you need to hatch chicks in your school! This programme is ideally suited to primary schools with over 250 projects and activities supplied on both CD and this website, many directly linked to the National Curriculum. These cover most subjects including Science, Literacy, Numeracy, D & T and are across all levels of education. All these resources are available from our website prior to delivery of the kit, saving the teacher valuable preparation time while maximizing the benefits for the pupil. Wall posters are available detailing ‘Life Cycle’ or ‘Embryo Development’ depending on the age group.